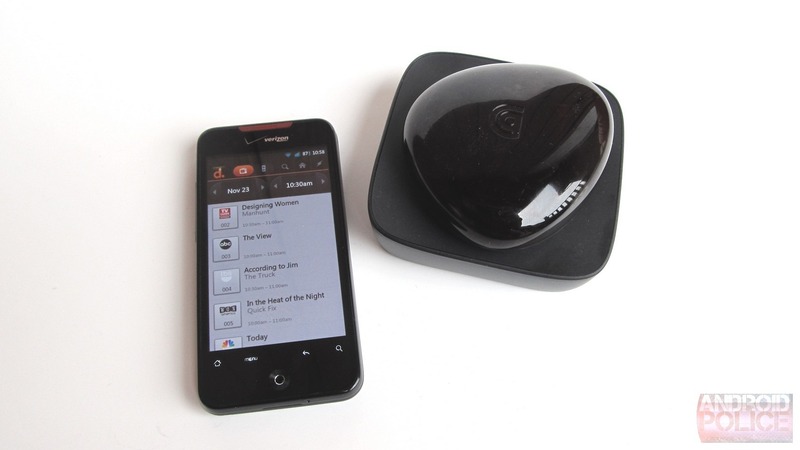 The Beacon from Griffin is an interesting little device - it effectively transforms your Android phone or tablet into a fully-functional universal remote control. 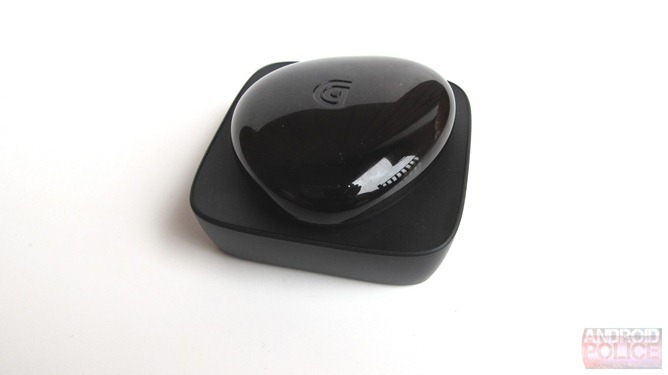 It connects to your device via Bluetooth, and then transmits the signals to your TV, DVD/Blu-Ray player, digital cable box, etc. via IR, just like a traditional remote control would. It does all this through an app called Dijit, which is the meat and potatoes of the entire system. 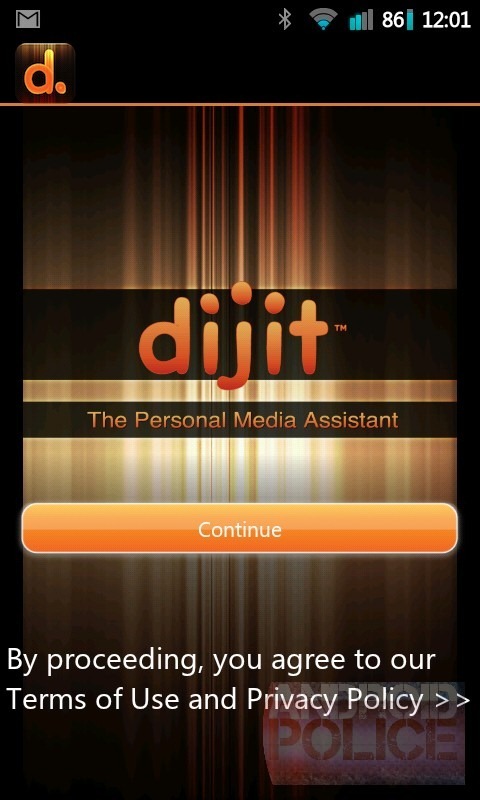 Update: The Dijit app received an update a few days ago that addressed several of the issues I experienced while writing this review. After spending a few days with the updated app, I feel like it's only fair to bring those fixes to light. 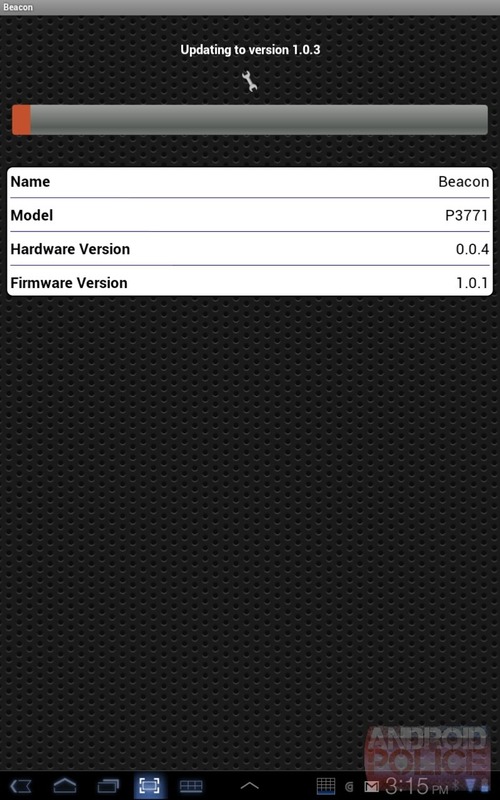 The app now has an option to stay connected to the Beacon when it's not in the foreground. This was one of my biggest pet peeves to begin with, and its resolution makes the Beacon infinitely more usable. 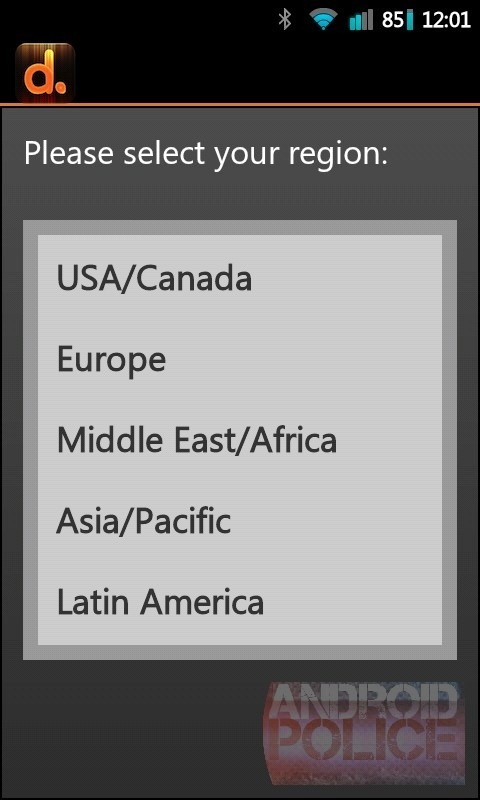 Even with this option enabled, it still disconnected from my phone on a few occasions. I didn't experience the same problem with my tablet, which leads me to believe that this is due to the limited amount of RAM in my phone and has little to do with the Dijit app itself. 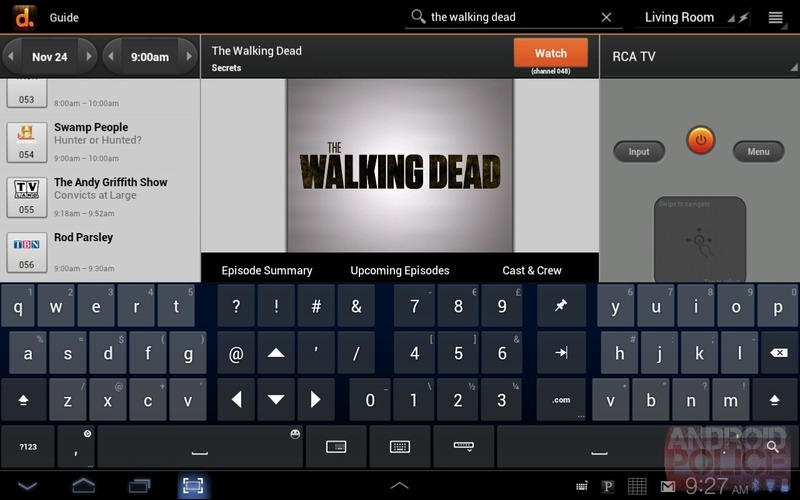 The ability to combine remotes on a single screen. 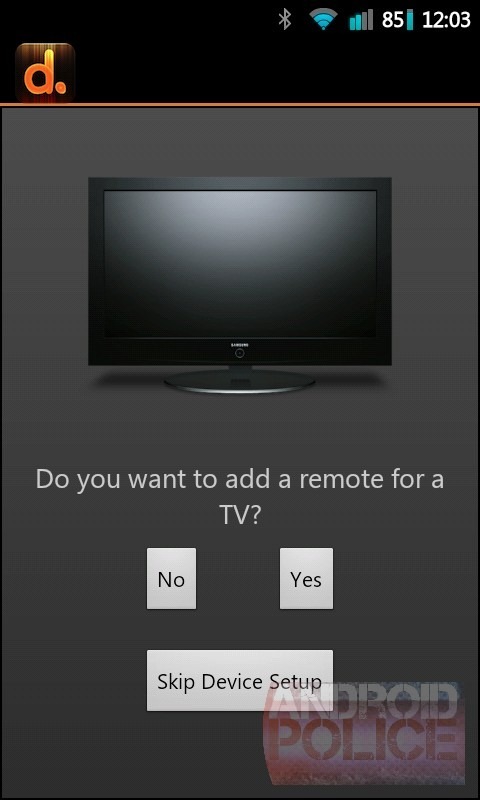 No more toggling between remotes in order to control various devices. You can have everything all in one place. Boom baby! These two issues were among my biggest gripes with the Dijit app/Beacon, and they have both been addressed. Like I stated in the original section of the review, this device could be extremely functional and useful if correctly supported, and this update proves just that. The Bottom Line: In theory, the Beacon is a great idea. In all reality, however, it's just not up to snuff. The constant reconnect issues, buggy software, and annoying quirks make it a less-than-ideal solution. A firmware update could fix these issues in the future, but for now, stick with your $5 universal remote. Control multiple devices with your phone or tablet. TVs, cable boxes, DVD/Blu-Ray players, etc. Allows for more than one Android device to be paired with it (but they can't be connected at the same time). It's small and out of the way, so it can be easily hidden. The Dijit app is quirky and counter-intuitive in some ways. The phone/tablet has to reconnect to the Beacon every single time Dijit is opened, even if it only loses focus for a second. If you install and set the Dijit app up before you have the Beacon, it won't connect. You have to uninstall the app and re-do the setup process in order to make it work. It runs on four AA batteries, so you better make sure to have some on-hand if you want to ensure the device is always in working order. With the pleasantries out of the way, let's get down into the nitty-gritty, shall we? As soon as you remove the Beacon from its package, one this is evident: it's well made. It feels very solid and well constructed. 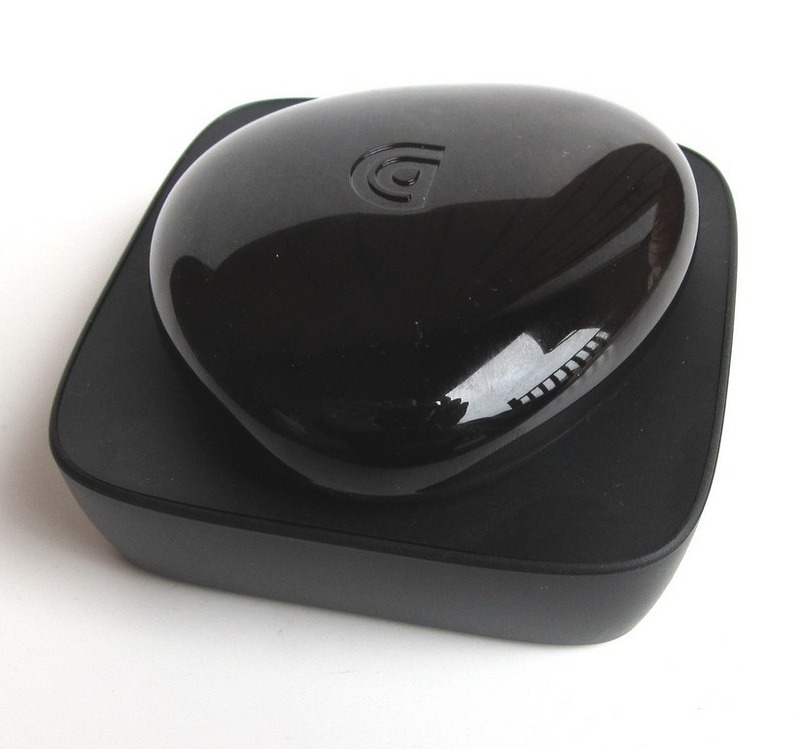 The top of the device consists of a big button that reminds me of a very shiny stone. This button is what you use to pair the Beacon with your Android device, as well as switch between devices. For example, you long-press the button to put the Beacon in discoverable mode, while you just tap it to switch between already-paired devices. The pairing process is simple, as is switching devices - when you can get it to work properly, that is. 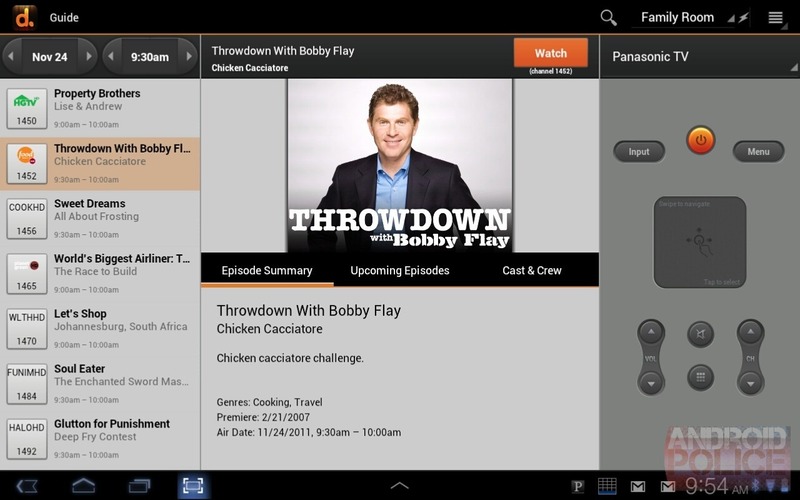 I initially paired the device with my Galaxy Tab 10.1 because the Dijit app is optimized for Honeycomb and I already had it installed. Like I said, pairing it was a simple and easy process - but that's about as far as simple and easy got during this setup. 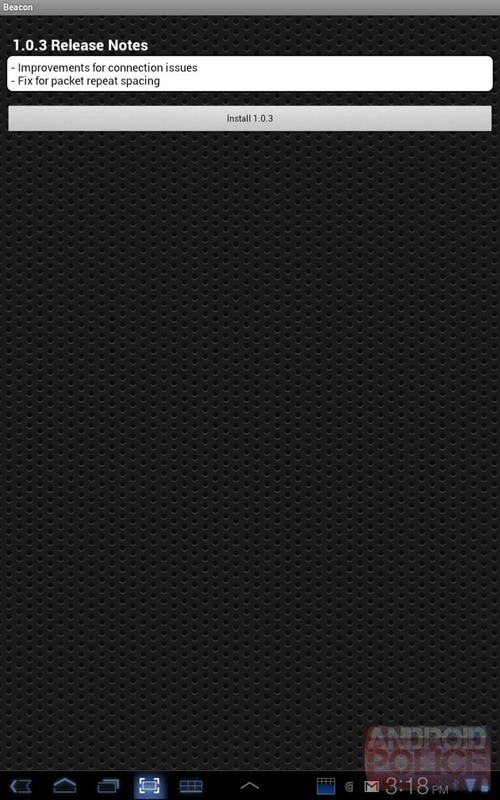 The Digit app couldn't find the Beacon, nor could I set up a new device. I had to uninstall Dijit, reinstall it, and perform the entire setup routine all over again (which isn't difficult, just annoying that I had to to do it again) before the app and the Beacon could find each other. Once I got it all setup, everything went smoothly... until I put my Tab to sleep. This is where I encountered yet another problem with the Beacon. That was just the beginning of the reconnect issues, too. At first, the Beacon refused to reconnect to my tablet - I had to re-pair it every single time. I knew that this couldn't be right, so I immediately contacted Griffin support, who responded back to me with a fix within minutes (top notch service, guys!). Turns out that they were aware of the issue, and there's a companion app in the Market that allows you to perform firmware updates on the Beacon over Bluetooth. After performing the required update, I no longer had to re-pair the Beacon each time I wanted to use it; unfortunately, this did nothing to remedy the "Connecting to Beacon..." issue. It can take anywhere form three to ten seconds for the tablet or phone to reconnect to the Beacon, so this is quite frustrating. Who really wants to wait five seconds to change the channel or adjust the volume? That defeats the entire point of the remote control: instant gratification. More often than not, I can grab my el-cheapo remote control and complete the desired task before the Beacon has even reconnected to my tablet or phone. Sad. Okay, so the Beacon has a few quirks. 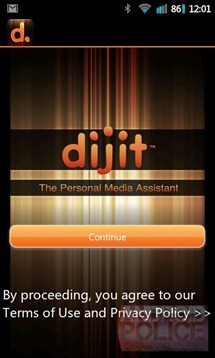 How about the Dijit app? It's not much better, I'm afraid. A look at the setup screens on the phone. 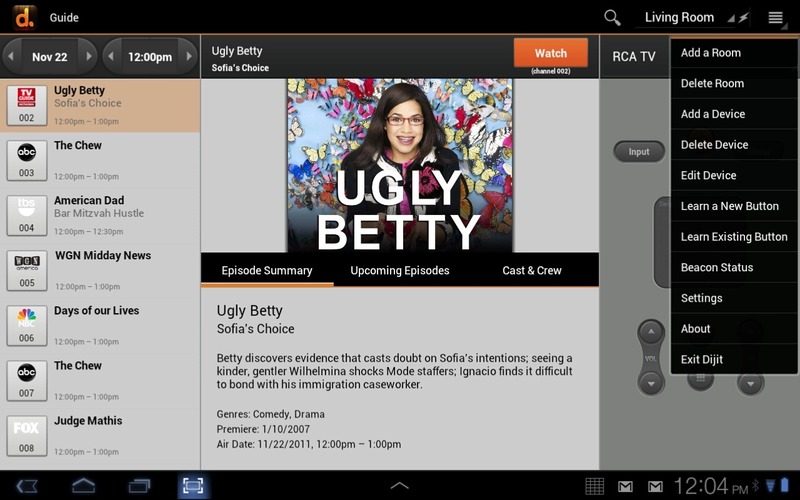 It looks very similar on a tablet. Like I mentioned earlier, the setup process is pretty simple - as long as you don't have the Dijit app installed prior to getting the Beacon. 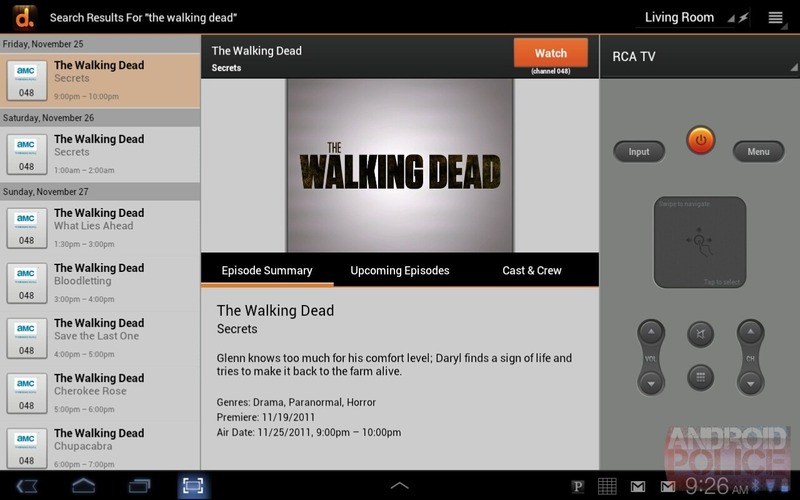 After reinstalling the app on my tablet and phone, though, the setup went off without a hitch. 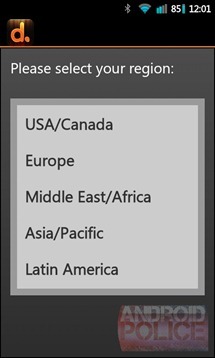 You simply plug in your regional and provider information, connect to Beacon, and start adding TVs, cable boxes, etc. I added nearly every device in my house, and I can definitely say this: the Remote Wizard does a great job of auto-detecting the device in question. Each time I used it, it worked properly the the very first time, making the setup process very easy and quick. Once you have everything set up, you're taken to the main part of the interface: the guide. 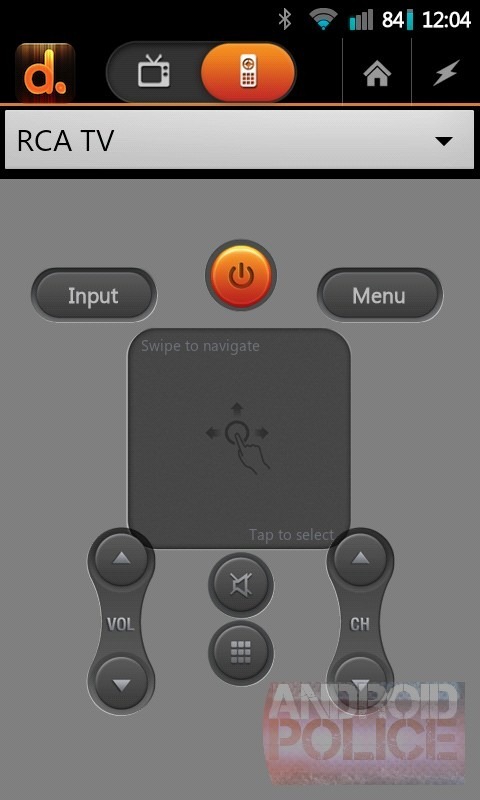 On the phone, the guide is its own screen, with a "switch" at the top to navigate between the guide and remote. On the tablet, the guide, program information, and remote are all displayed on the same screen. You'll find all of the available options here: add/delete rooms, add/delete device, learn a new or existing button (more on that later), settings, and Beacon status. 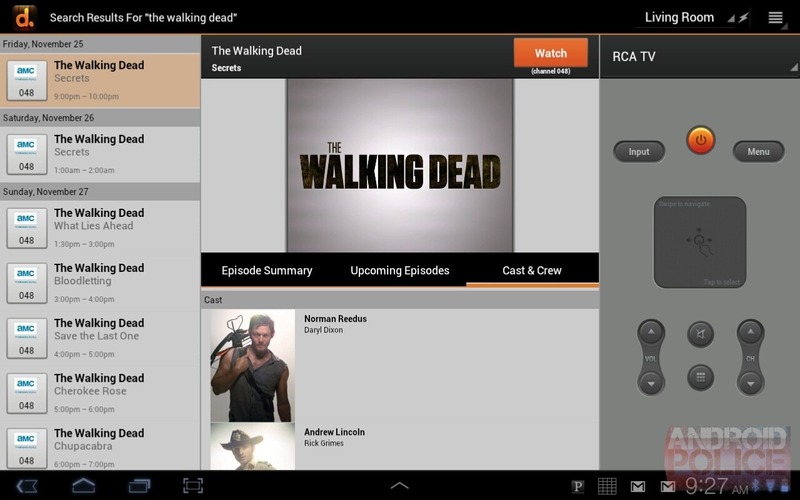 When checking the Beacon status on the tablet, it opens in the area where the remote control is normally displayed. One would think that to display the remote once again, a simple tap of the back button would suffice - not the case. Remember when I said that it is counter-intuitive in some ways? This is one of those ways. To exit the "Beacon Status" and go back to the remote requires a long-press of the back button, something I actually found by accident purely out of frustration. No where else does the app utilize this action, nor does it tell you that this is how you must exit the Beacon status page. The same action is not required on the phone - a tap of the back button works just fine. The Beacon offers a really neat feature that I briefly mentioned earlier: the ability to add custom buttons. Griffin claims that the Beacon can "learn" new buttons that you use on your current remote. All you have to do it select the "Learn a new button" option from the menu, choose which button you want the Beacon to learn - there are some pre-programmed options here, like number pad, playback pad, d-pad, custom button, etc. 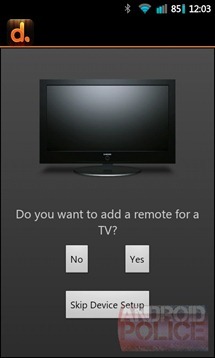 - and point your remote directly at the Beacon and press the button you want it to learn. Awesome, right? I thought so, too - but I couldn't get it to work. I tried every single button on my remote, and not once did the Beacon "learn" anything. Again, very frustrating. The Beacon is able to remember many devices in all different rooms of the house. You can customize each different room into categories called... are you ready for this?... rooms. Makes sense, right? Adding a room is quite simple - just tap "add a room" in the menu. You then choose a name for your room and are ready to begin adding devices. The process of adding a new device is a simple one, just tap "add new device" and you're taken through the new device setup wizard. As I've already mentioned, the new device wizard is simple and it works well. The process of navigating between devices in the same room is cumbersome and annoying, though. Once you've selected the room you want, there is a dropdown menu at the top of the remote that allows you to select the your various devices. Let's say, for example, you want to turn on the TV, change the channel on your digital cable box, then turn on the surround sound. 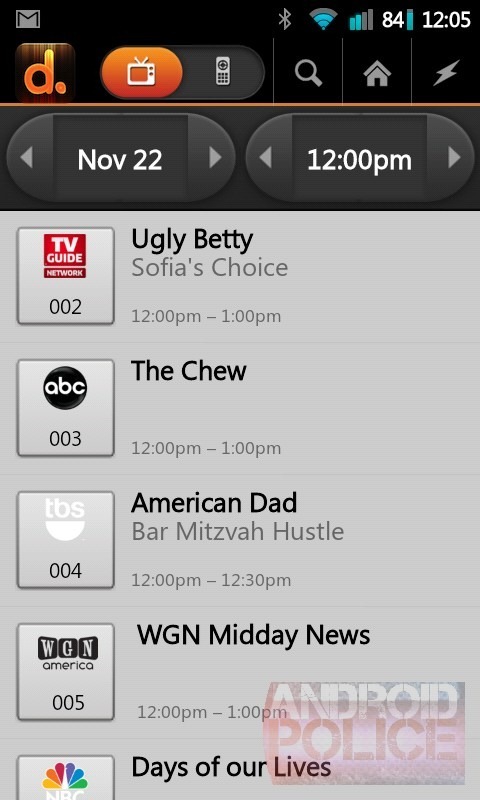 That would require several taps - first, choose TV from the dropdown menu, and hit the power button; then, choose your cable box from the dropdown, turn it on, and navigate to whatever channel you want to watch; lastly, hit the dropdown again and select the surround sound, turn it on, adjust the volume. After all this, what if you want to the TV volume a bit louder? You have to go back to the dropdown, select the TV and adjust the volume. Want to watch something different? Back to the dropdown, select the cable box... you see where this is going. It's a very tedious process, unlike with the good, old-fashioned remote control. If the "learn a new button" feature actually worked, it wouldn't be so bad, as you could easily add various buttons from your standard remote and, in theory, could operate each device from one remote. With that said, since I couldn't get that feature to function at all, I had to way to test if that theory would actually work or not. One thing that I really like about the Dijit app is the program guide. It's much better and easier to use than the guide of most set-top boxes, which is a huge plus. You can quickly and easily find what you're looking for, as the navigation and search function are both top-notch. However, I do wish the information window provided a bit more detail as to what the show or movie is about. As it stands, this part of the program guide is a bit dry, but, the guide as a whole, is still one area where I feel like the Dijit app delivers wonderfully. Another nice thing about it is that you don't actually need the Beacon to use this feature of the Dijit app. 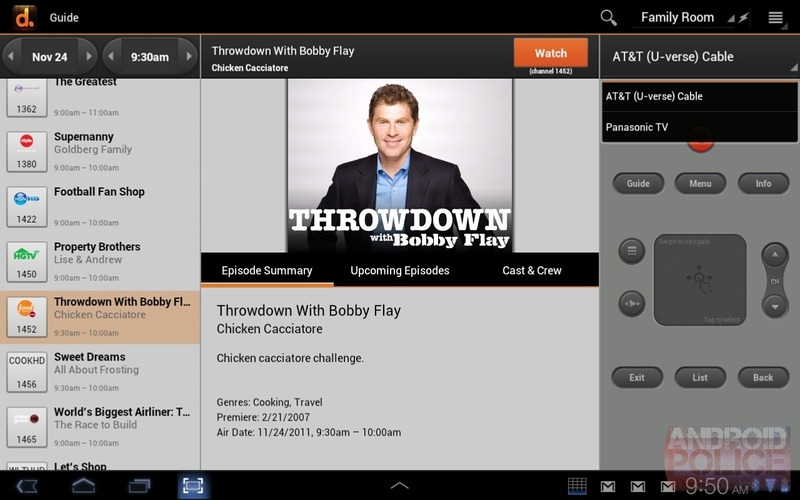 You grab it from the Market, install it, and have a full program guide at your fingertips no matter where you are. So, what do I think of the Griffin Beacon overall? The Dijit app is counter-intuitive at times and counter-productive at others, but it's still a cool little gadget. Sure, it's more of a look what I can do novelty, but I do think that, with the proper updates, this device could actually be quite usable. The fact that the firmware can be updated via Bluetooth is promising, as Griffin can fix any quirks that come along. The Dijit app needs to some work, but like with any other app, can also be updated to work out the kinks. Do I think it's worth $70? In its current state, no. Though, given a long enough timeline, that could change. I look forward to seeing how well Griffin and Dijit support this device, as that will definitely make-or-break its future. If they choose to ignore the issues that I've mentioned in this review, then the Beacon will surely be a flop; however, if the issues are addressed in a timely manner, I think that the Beacon could be a very cool device to have around, and could eventually save some time for users with multiple devices.